Here are the Free LET Reviewers from PNU. 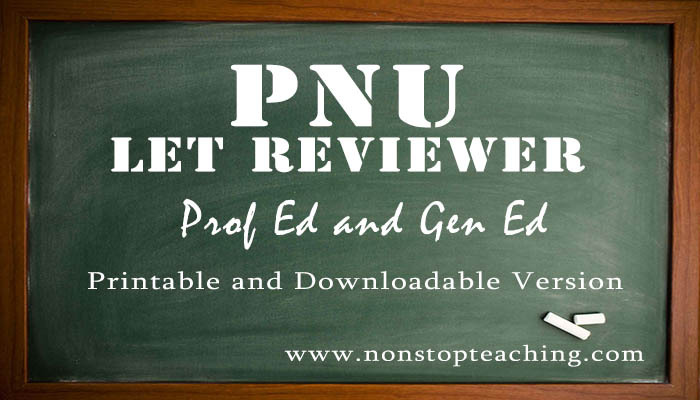 These are downloadable and printable pdf reviewers that will absolutely help you during review. Feel free to download the following LET Reviewers from the link below.